How ironic that what sometimes brings you the most pain in life, can also ignite your biggest passions, gifts and rewards. For award-winning author Danielle Walker of the successful diet and lifestyle blog Against All Grain, this is exactly what happened after years of disease and suffering. Danielle shares how she changed her life through food, became a hope for others while developing a successful blog along the way, and gives a signed copy of her latest book Meals Made Simple (see contest details below) to TWP readers. Plus, hop over to Style Me Pretty Living for her quick and easy recipes! 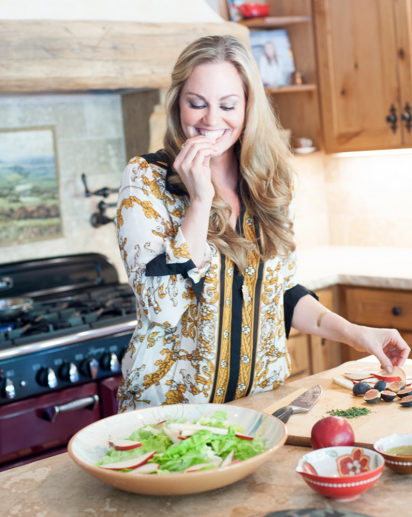 I’m Danielle Walker, author of the New York Times Best Selling cookbook (48+ weeks), Against all Grain, and the newly released Meals Made Simple. I’m mom to the love of my life, 4-year-old Asher, my baby in Heaven Aila, and wife to Ryan. After being diagnosed with an autoimmune disease when I was 22 years old, I realized that I needed to make dietary changes in order to get well. I removed grains, lactose, and legumes from my diet, and started my blog in 2009 to help others suffering from similar ailments continue to enjoy food.